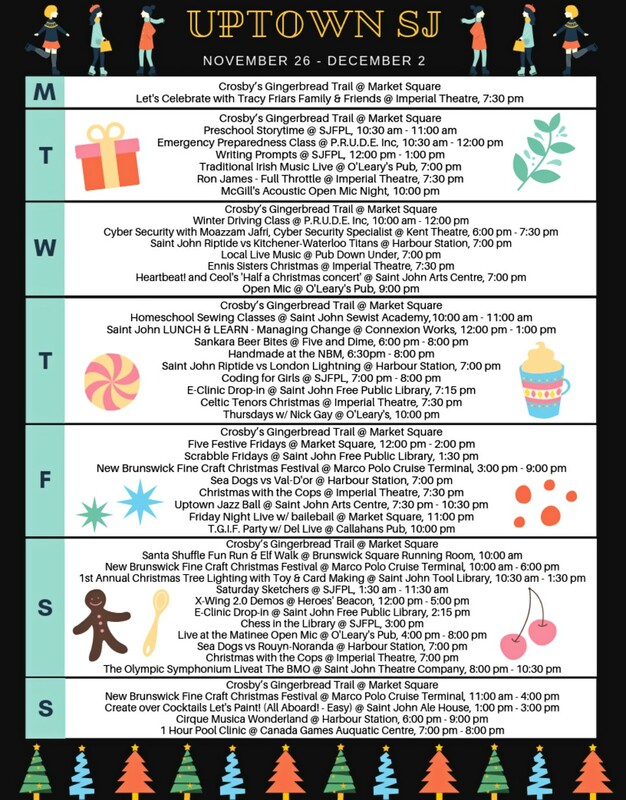 Below is the your weekly schedule for November 26th to December 2nd of What is Happening is Uptown Saint John, in the City of Saint John, Parish of Saint John, Saint John County, New Brunswick, Canada. There is something for everyone of all ages at various uptown businesses! So why not bring yourself, a friend or a family member out to one or many of these exciting events happening! The post What’s Happening, November 26-December 2 appeared first on Uptown Saint John.